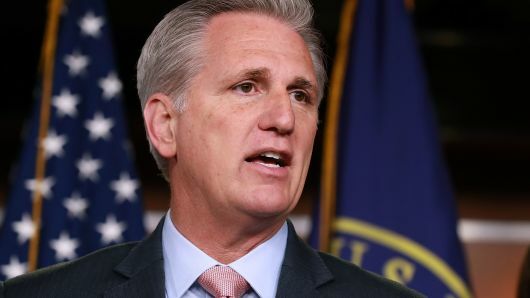 As they prepare for their new role as a minority party, on Wednesday House Republicans elected Rep. Kevin McCarthy of California (pictured) to be the GOP’s Minority Leader in the House of Representatives. He’s been Majority Leader under retiring Speaker Paul Ryan for years, so on the surface this may seem like a mere formality. But the circumstances this year were anything but ordinary. McCarthy is part of the leadership team that not only failed to defund Planned Parenthood but approved multiple budgets, under Presidents Obama and Trump alike, that contained the abortion giant’s blood money. Obviously, he’s also part of the leadership on whose watch the GOP just lost the House to the Democrats. Most significantly, this year there was a choice.